We LOVE our natural haircare products and love talking about them but when our customers start using a natural product they often have similar questions or concerns. To help you get answers quickly and easily we have put together this guide. 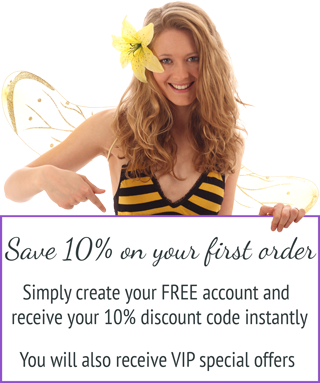 It contains a wide variety of information to not only answer your questions but enhance your Beauty and the Bees (BB) Haircare experience. For success with Natural Haircare please see Using Our Healthy Haircare Products and How To Videos and/or click on the questions below to reveal our answers to specific questions. This is our most common FAQ email: I have used your Shampoo Bars and my hair feels weird/gummy/funny/FUNKY! How long will it take my hair to adjust to a natural Shampoo Bar? 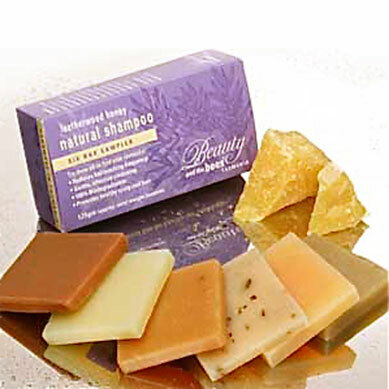 Don’t use our natural Shampoo Bars just once or twice – Give them a chance!! Most people report positive results after just 1 – 2 washes. However, 3 – 4 washes or more may be required to fully remove the silicone build up from commercial shampoos. During this time your hair may feel and look different. We call this FUNKY hair – the transition time as your hair gets used to a natural soap shampoo instead of a detergent. AND, it has to be said, some people’s hair just does not like shampoo bars, but that is rare as you can see from the many positive testimonials on our site. Your hair and scalp will take time to “detox” and adjust. Commercial detergent shampoos contain synthetic silicones that make the hair feel slippery and “nice”, but are derived from plastic petroleum derived polymers. These gel-like substances coat the hair and scalp. In addition, SLS (Sodium Laureth Sulfate, a synthetic foaming agent) also strips away your natural protective conditioning oils (sebum) causing your scalp and hair to become dry. Your dry scalp now tries to compensate by producing more of its natural oil. Excess oil production escalates to compensate for the harsh shampoo and the vicious cycle begins…. By breaking this cycle with a gentle natural SOAP shampoo bar (not detergent) you will no longer have those chemicals stripping away the natural oils and drying out the hair and scalp. But it will take time for your scalp to re-balance its natural oil production. This usually happens quickly, but it can take anywhere from a few days to a few weeks and for some even longer. BE PATIENT and you will be rewarded with healthier hair and scalp. Because shampoo bar soaps do not strip hair in the same way as detergent based shampoos, you may notice your freshly washed wet hair feels quite different to what you may be accustomed to: squeaky, with a slightly rough feel if the cuticle is sticking up. This is perfectly normal, and the Tasmanian Apple Cider & Herb Conditioning Rinse or Apple Silk Clarifying Rinse can be used to smooth the cuticles flat and shiny again. You’ll love how your hair feels after it dries: much softer and shinier. Remember with a natural Shampoo – IT’S ALL GOOD IN THE END!!! Is the residue on my hair from your natural Shampoo Bar? This may depend on the type of water in your area and how much previous residue you have on your hair from commercial haircare products. Residue is often left behind from the synthetic polymers/silicone that are in commercial shampoos and may take some time to remove. Solution: It is often beneficial to use a pre-shampoo rinse to help remove any build up before shampooing with our natural Shampoo Bar. We include a sample of our Apple Silk Clarifying Rinse with every Shampoo Bar purchased to help you start the journey to naturally healthy hair in the right way. If you feel that you need to remove soap residue from your hair after using the Shampoo Bar you can use one of our natural clarifying rinses (Tasmanian Apple Cider & Herb Conditioning Rinse or Apple Silk Clarifying Rinse). The weak acid in these will remove any residue and make the hair cuticles lie flat without drying or stripping the hair. Remember it will take time for your hair to adjust to a new product and to have all of the old commercial shampoo residue removed so be patient and persevere and you will be rewarded with beautiful shiny and healthier hair. For more information about the effects of hard water please see our next question. Will the type of water I use affect my haircare routine? The simple answer is yes it might. Hard water, chlorinated, mineralised and fluoridated water may all affect the outcome of your shampoo and conditioning routine. The term “hard water” refers to water that has a high mineral content. It is formed when water moves through deposits of limestone and chalk which are largely made up of calcium and magnesium carbonates. The high mineral content may damage hot water systems and water heaters due to scale formation so a softener is sometimes used to reduce the hardness of the water. Rain water on the other hand is considered to be soft and mineral free. When hard water is present, soap solutions may form a soap/shampoo scum instead of producing a lather. This may mean that more soap/shampoo is required to achieve a similar result. There is a possibility that hard water may trigger or exacerbate eczema. Hard water tends to make the cuticles on the hair shafts stand up and appear rough producing tangles and dry hair. Soap/shampoo is less effective in hard water and it has difficulty removing the insoluble calcium and magnesium salt deposits leaving the hair with a soap residue on it. Commercial shampoos may contain synthetic surfactants and foam boosters to produce more lather even in hard water but they are harsh detergents and will damage your hair by stripping away the natural oils that make your hair soft, strong and shiny. Our range of natural haircare products can help overcome the results of hard water. If possible, determine how hard the water is in your area. If it is only mildly hard, use one of our natural Shampoo Bars and follow with one of our moisturising Conditioner Bars. The conditioner will smooth down the cuticles and help rinse out the last of the soap residue. If it is very hard, try using rain water, distilled water or a water softener to wash and rinse your hair with. Hard water treatment systems are available and worth considering. You can also use one of our natural clarifying rinses (Tasmanian Apple Cider & Herb Conditioning Rinse or Apple Silk Clarifying Rinse) because the weak acid in these will remove any remaining soap residue and make the hair cuticles lie flat without drying or stripping the hair. You may need to experiment with the type of Shampoo Bar and haircare routine you use to see what works best for you because both you and the water you use will create a unique set of requirements and it may take time for your hair to adjust to the new natural products and routine. Why is rinsing so important? Not rinsing properly and/or not using an acidulated/clarifying rinse may affect the way your hair feels and looks after washing it with a natural Shampoo Bar. Please see our video for proper technique. To improve your experience, we STRONGLY recommend a clarifying rinse such as our Tasmanian Apple Cider & Herb Conditioning Rinse or Apple Silk Clarifying Rinse, to remove any dulling soap residue; help make the hair cuticle lie flat and smooth; and restore the hair and scalps pH. It is even more important to use one of our rinses if you regularly use synthetic hair styling products such as a gel or wax because they build up over time and leave a residue which can be hard to remove. I’m not getting a good result with the shampoo bar I’ve chosen, what should I do? You may not have the right Shampoo Bar for your individual requirements. Please see our “Help Me Choose” guide because if the one that you have chosen isn’t working for you, another probably will. We always suggest that you purchase a Natural SHAMPOO Six Pack Sampler to begin with so that you can trial different shampoos to see what works best for you and your individual circumstances. And it takes time for your hair to adjust to the new natural products so give it time and have FUN experimenting. Will poor Shampooing technique affect the outcome? Yes it might. As you rub the shampoo bars on your hair you are coating it with a superfatted soap, not a harsh stripping detergent. It is therefore very important to LATHER WELL as shown in our video here. Our natural Shampoo Bars are superfatted which means they contain extra oils, butters, and/or clays and other active ingredients to increase the richness and foam of the lather that will naturally cleanse and moisturise your hair. If you do not lather up really well, and then work the lather through carefully, you will have areas of hair that remain coated with the soap, which can make it look gummy and oily when dried. And remember to RINSE REALLY WELL!! What is the difference between the BB 100% natural solid Shampoo Bars and a commercial liquid shampoo (for both humans and pets)? Our super-rich, solid 100% natural Shampoo Bars contains only the finest raw materials such as conditioning plant oils such as castor, olive and coconut oils ; and Leatherwood beeswax and honey which help retain the lustre, natural oils and softness in the hair. In comparison, most commercial shampoos contain 98% water and many toxic and environmentally destructive chemicals such as the foaming agent’s sodium lauryl sulphate (SLS) and cocamide betaine. These are strong chemical de-greasers/detergents which were originally designed to clean oily engines! They strip the hair of up to 80% of its natural oils and moisture, which often results in sore, dry, itchy, flaky scalp, skin and hair conditions, and can irritate the eyes. Sadly, these foaming agents are used because consumers seem to believe incorrectly, that a lot of lather means a shampoo is working well. And of course they are very cheap ingredients! Chemical detergents, which were invented only 50 or so years ago, are far less bio-degradable than natural soaps (which have been used by humans for literally thousands of years), and are harmful to marine life and the environment. In addition to detergents, commercial shampoos contain synthetic fragrances and strong petrochemically-derived preservatives which are used to prevent mould. Refusing to poison ourselves & our environment, we hand make 100% chemical free, luxurious, superfatted (rich in beneficial oils), pure soap shampoo bars. We use a centuries-old traditional formula, with special essential oils and/or herbal infusions to offer specific benefits, which have been documented for generations. Why should I use a natural shampoo bar and the BB Healthy Haircare routine? Dry, sore, itchy, flaky scalp conditions improve almost immediately. These problems are often caused and/or aggravated by the drying, synthetic products found in commercial shampoos. Hair returns to a healthy state with natural bounce and shine. Hair falls much less and hair thinning decreases. Hair growth is promoted significantly by regular brushing, gentle shampoo (no detergents) and natural conditioning. There are no harsh stripping chemicals and detergents in our products. Can I use the Shampoo Bars with colour treated, bleached, permed or otherwise chemically treated hair? 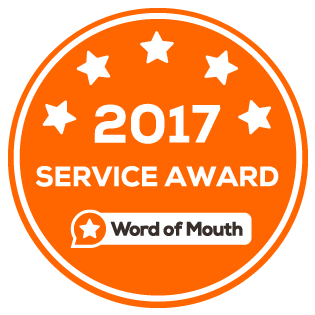 Customers report that their hair colour lasts much longer, that bleached hair softens in colour, and that perms retain their curls for longer. The overwhelming majority report that the general condition of their hair improves dramatically. Because our products are 100% natural there are no chemicals to strip colour from the hair or to alter a perm, but everyone is an individual so we recommend that you trial our haircare products on a strand of coloured or permed hair first to test how it will work for you. Which Shampoo Bar should I choose to use? Try our Natural SHAMPOO Six Pack Sampler so that you can trial which one works the best for your hair type, or alternatively you can use the “Help Me Choose” guide or find one using our generalised guidelines below. Australian hemp seed oil & Leatherwood honey for a dry, very sensitive scalp. It helps soothe eczema & psoriasis. Eggcellent Egg and Lemon is rich in high quality protein; vitamins like A, E, & D; and fatty acids. 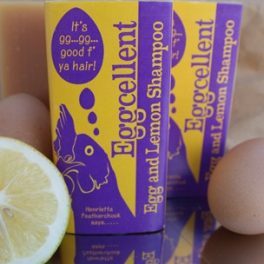 Egg yolk is a fabulous natural hair conditioner which moisturises, smooths strengthens, thickens, and produces healthier more manageable hair, with shine and body. Grass Roots may assist in the growth of your hair; calm, tame and add shine to your hair; and assist in keeping your scalp healthy. Contains Vetiver essential oil. Henna Senna is an excellent natural mineral rich conditioning shampoo for both scalp and hair leaving it glossy, full bodied, and the scalp soothed and moisturised. Lemon & Chamomile for blonde & silver hair. It helps brighten the colour, and may eliminate yellow tinge from silver hair. Moroccan Mud smooths and tames chemically treated, dry, frizzy hair. Rosemary & Mint for brunette & red hair. It helps to make the colour richer. Tasmanian Beer for an oily scalp and fine or thin hair. It gives the hair full body and bounce. Tasmanian Goat’s Milk is unscented and especially good for dry sensitive scalp, dry hair, and those with eczema, or psoriasis. Tasmanian Wild Leaves for those with sore reddened scalps and mums tell us nit infestations are eliminated. Voodoo Bamboo Charcoal absorbs oil from oily hair yet moisturises dry hair and scalp, and gives fabulous body, shine and condition – enriches the natural colour and vibrancy of all hair types, (a brunette user was asked if she had coloured her natural hair it was so rich, a blonde user says it tones down brassiness in dyed hair) and customer feedback indicates great results for those with sensitivities, scalp issues such as psoriasis and eczema. If you ’are a first time user, we always suggest that you do a simple test by washing a strand of chemically coloured or permed hair first to ensure compatibility with your unique hair. How long do the Shampoo & Conditioner Bars last? This is difficult to answer as it depends on how long and thick the hair is, and how often the hair is washed and conditioned. A regular customer reports that his Tasmanian Beer Shampoo Bar lasts for six months! And our Conditioner Bar has been trialled and found to last for 130 washes on short hair. That’s pretty AMAZING! And there is no plastic bottle to go to landfill and pollute the earth after the shampoo is used up. Will I need to wash my hair more often? On the contrary, MUCH LESS! Customers report that their hair and scalp stay clean longer, so they reduce hair washing frequency dramatically. Some customers go from daily washing to twice a week or less, saving money and improving their hair condition considerably. This is because the hair is not being totally degreased and stripped, just gently cleansed. Will I need a conditioner and/or a rinse and will your Shampoo Bars create tangles? Conditioners are usually needed because when the hair is washed with commercial shampoos containing detergents the hair dries out and tangles result. The hair shaft, under a microscope, looks like overlapping fish scales (cuticles). The cuticles naturally open when wet or when shampooing occurs but as the hair dries, the cuticles should lie flat and smooth again so that they reflect the light giving the hair a healthy shiny appearance. Unfortunately commercial shampoos make the cuticles swell, roughening the hair surface and allowing it to dry out so tangles and dullness are often the end result. Our natural Shampoo Bars do not have the same effect on the hair cuticles but everyone is unique and some hair types need more natural oils to keep it from tangling or to improve the overall condition and shine. For these individuals we have formulated our natural Conditioner Bars. Our Conditioner Bars will naturally coat the hair strand with nourishing and moisturising oils which produces smoother flatter cuticles. Sometimes residues are left on the hair which leaves it looking dull. The vinegar and herbs in our Tasmanian Apple Cider & Herb Conditioning Rinse or the citric acid in our Apple Silk Clarifying Rinse can help to remove the residue and close the cuticles so that they are lie flat and smooth and are less likely to tangle. Different hair and skin types require different things so HAVE FUN experimenting with our products to see what works best for YOU! Can I use the Shampoo Bar on my body? Yes you can. If you only want to take one bar with you when you travel or go to the gym then we would recommend your favourite Shampoo Bar. The natural oils used to increase lather and provide moisture to your hair will also clean and moisturise your entire body and face. The 100% natural and specific ingredients in your chosen Shampoo Bar will not only work to promote a healthy scalp but will have the same benefits for the skin all over your body.